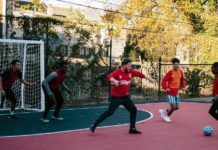 For those of you itching for some street football, freestyle, or futsal, we’ve put together a calendar of upcoming events for Spring and Summer 2017. But don’t delay, registration deadlines are coming up fast! A short-sided tournament with multiple divisions, including youth, adult, and co-ed. All teams that participate become eligible for the Open Division at Stanford University for the 5v5 soccer championships in December. The top two teams will qualify for the Premier Division at Stanford. A U.S. Futsal-sanctioned event that ranges from U9 to over 35 for both men and women. While registration has closed, you can still check out the action at the U.S. Futsal Academy in Del Mar. The world’s biggest 5-a-side tournament is back for its second year, and you can expect more teams and even crazier competition. 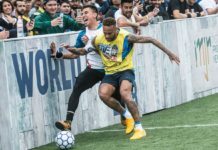 The Red Bull-sponsored event will be held at the Urban Soccer 5 Complex in Norwalk, with music, football fans, and plenty of the energy drink to go around. Register today, and check out the L.A. “Training Grounds” to get your crew prepared! The LA Galaxy Soccer Center will play host to a one-day 5v5 futsal tournament for players of all ages. Registration deadline is April 1, don’t mess around and miss it! This U.S. futsal event is for all the marbles. Held in Rocklin, CA, the winner of this tournament will take the next step on the road to the U.S. Futsal National Championships. Short-sided 5v5 beach soccer in Santa Monica. I don’t think there’s a more attractive sentence in the English language. The annual series of charity events for at-risk youth and homeless young adults will kick off in Philadelphia from June 9 to 11. On July 15, it will continue in New York City and conclude from August 5 to 6 on the West Coast in San Francisco. Team registration opened on Mar. 1. Last year’s events saw guest appearances from star players like Jimmy Conrad, Heather Mitts, Luis Robles, David Bingham, and Chris Wondolowski. All profits from the events will benefit child homelessness and underserved communities. 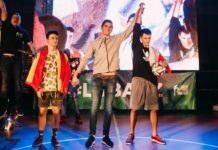 After being in Liberec for the past three seasons, Super Ball returns to its original city, Prague. As one of the biggest freestyle competitions in the world and arguably the most esteemed, Super Ball is sure to bring both energy and entertainment for a week in late August. Norwegian wunderkind Erlend Fagerli and his brother Brynjar will look to defend their 2016 titles against the best freestyle athletes in the world.